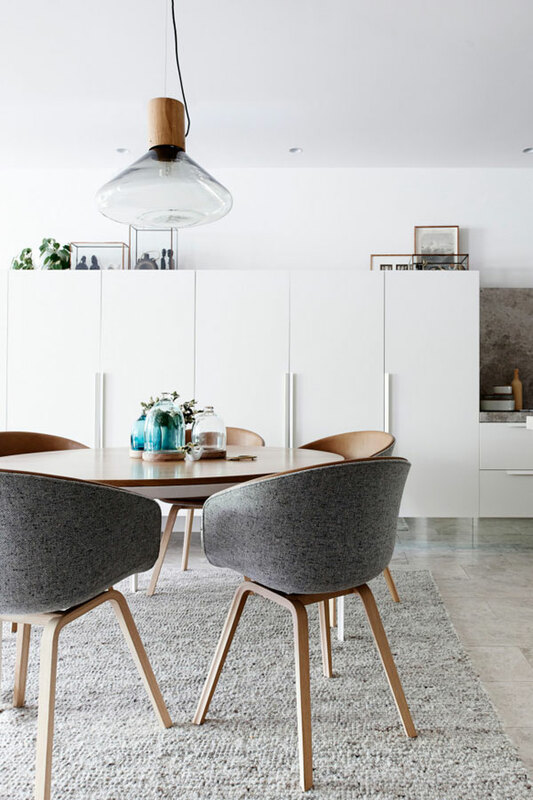 An area of interior styling you don’t seem to find much advice on is how to style your dining table. This large surface in the home often gets left out when styling or worse, becomes a dumping ground for bags, papers and a million other things! 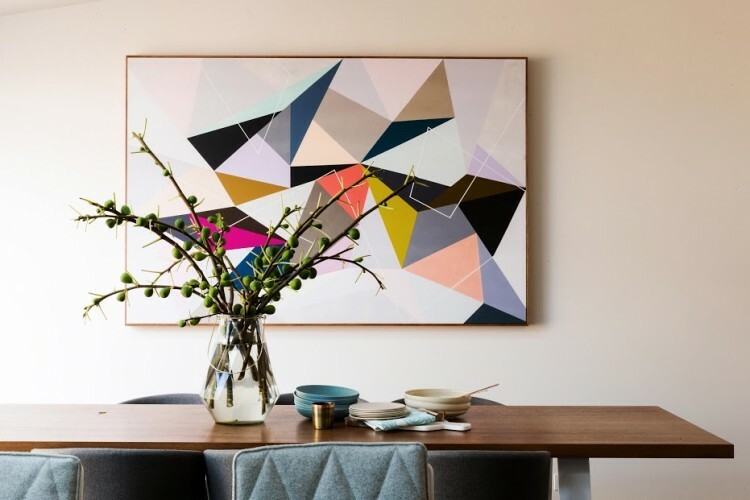 We’ve curated a stack of gorgeous images to inspire you to style your dining table beyond meal times. A trio of ceramic vessels in different shapes or sizes is a beautiful and simple way of styling your dining table. Add a pop of greenery in one for added interest. 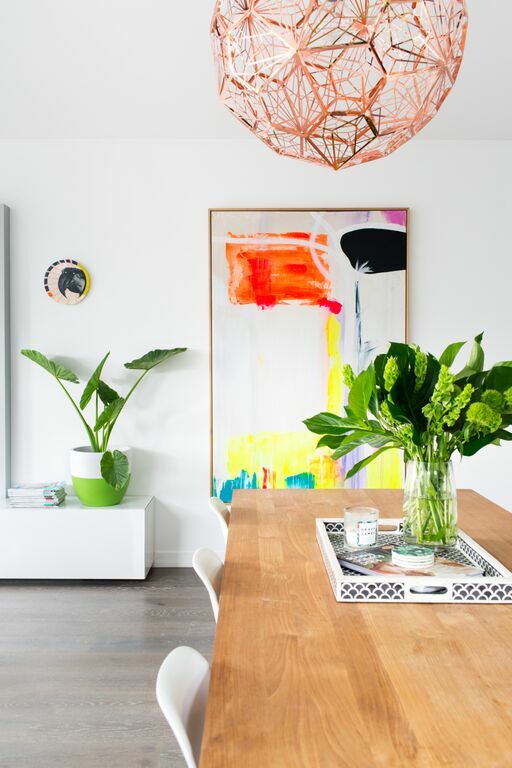 A vase, or two, or three, filled with beautiful blooms or green leafy branches will bring colour and life to your dining space. You don’t necessarily need to go to the florist for these, Eucalyptus branches or fig branches (shown further below) could be foraged instead. For those a little more confident with styling or wanting to challenge themselves, why not create a stylish dining vignette like this blush pink, copper and timber one? Use a cutting board or tray as a base and then find items that relate to the dining space such as trivets, coasters or salt and pepper grinders to create a stylish arrangement. We also love the arrangement Aimee created in her home using a feature tray, tall vase, cook book, candles and coaster. Combine being efficient and stylish in one by using your breakfast bowls as styling props. Use a mix of ceramic bowls that reference artwork or other colours in your dining space. Just as a trio of ceramic pieces looks fab so too does a trio of vases? Why? Well items arranged in odd numbers — 1, 3, 5, 7 etc — are more appealing to the eye. 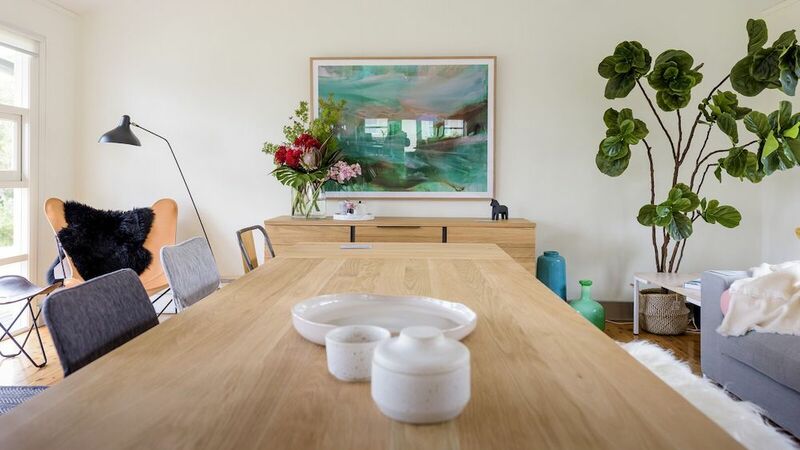 Again, in this dining space they’ve used a trick of adding greenery to one of the vases and we love how they’ve mixed up the colours too. 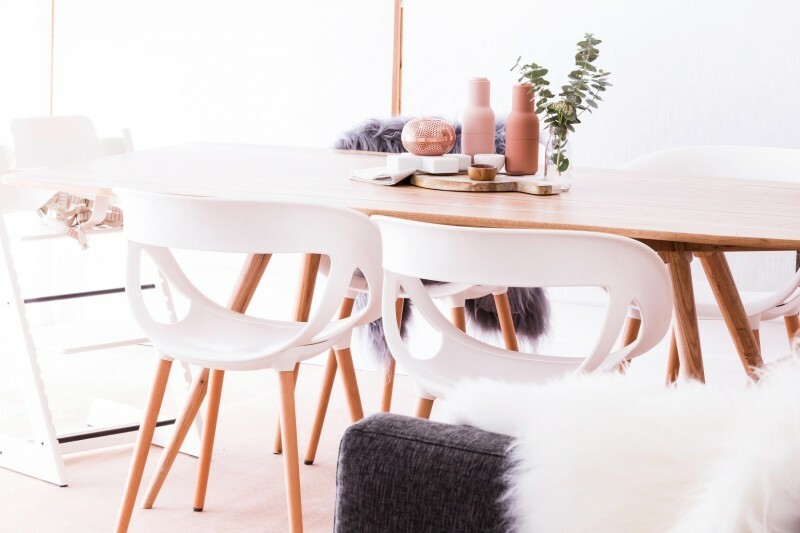 How do you style your dining table when it’s not being eaten at? Tell us in the comments below or link to your favourite inspiration picture! And if you enjoyed these tips, be sure to ‘Pin’ this image to your Pinterest account for later. Next articleWinner(s) of the bedside #stylecuratorchallenge with Curious Grace! I have been thinking about getting some new dining sets for my home and I wanted to look up some tips to go with it. I appreciated how it talked about combining being efficient and stylish in one by using your breakfast bowls as styling props. I think this is a great idea I will have to look around for the right bowls. 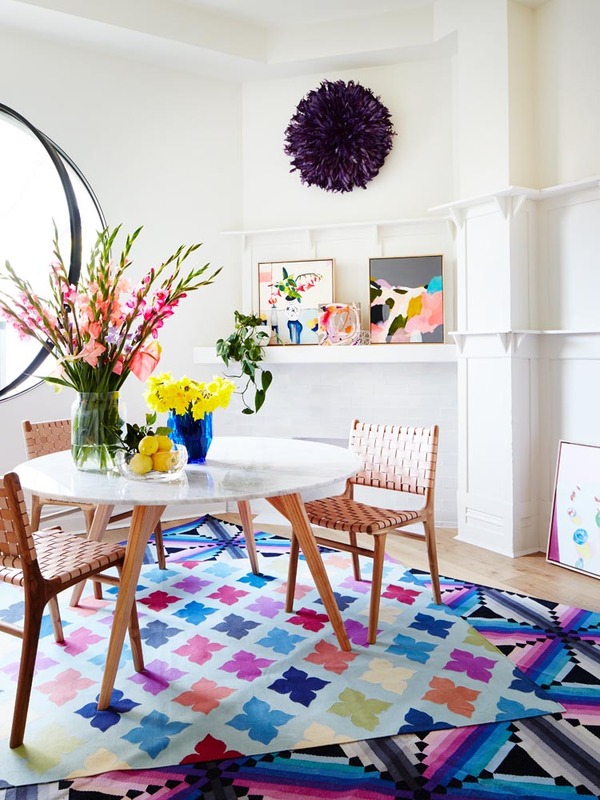 I’ve always had trouble with styling my dining table too so thatnks for these tips!